If your fear of the dentist chair has prevented you from dealing with your tooth pain, then your day has come! Laser dentistry is virtually painless and can be used in a wide variety of dental procedures. The Solea system, for example, is a CO 2 dental laser that uses a unique wavelength guided by sophisticated computers to work on both hard and soft tissues. The resulting procedure is blood-free and anesthesia-free, and there are no needles, scary-looking drills, or bone-chilling noises. Best of all, you can go right back to work without the lingering numbing affects that often cause embarrassing drooling and slurred speech. In the past, those suffering from damaged, broken, or missing teeth needed numerous trips to the dentist, countless injections, and days or months spent recovering between procedures in order to achieve the results they were after. However, the latest advances in 3D imaging and crown printing have made effective same day dental procedures a reality. Using CAD-CAM (Computer Aided Design-Computer Aided Manufacturing) technology, a non-invasive 3D scanner captures an image of your damaged teeth and an on-site milling device prints a perfect match within minutes. No temporary crowns, no messy impressions, and more of your natural tooth saved, all thanks to technology. 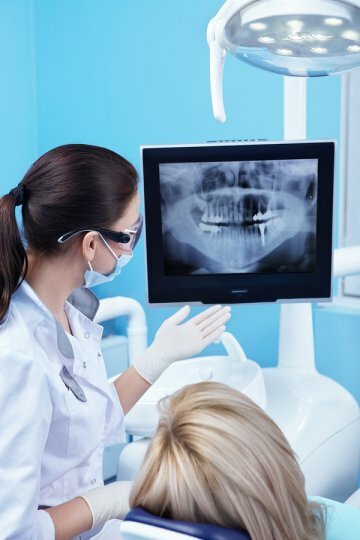 X-rays have always been an essential tool for diagnosing conditions of your teeth and gums, but traditional x-rays take time to create and expose patients to dangerous radiation. Modern digital X-rays have streamlined the diagnostic process. 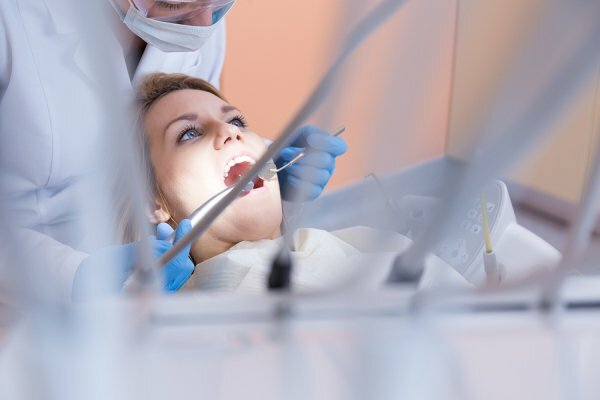 Since they immediately appear on computer screens, they can be digitally transferred to allow for faster communication between dentist and patient or enhanced for a more accurate diagnosis. Digital x-rays also provide greater comfort than traditional x-rays and reduce radiation exposure by 80-90%. Have you always wondered exactly what the dentist sees when they look in your mouth? Well, now you can see for yourself with an intra-oral camera. This small device allows you to view the inside of your mouth in real time, giving the dentist an opportunity to further examine causes of tooth pain and discuss with you recommended dental procedures. The camera is also a great tool for pointing out where to focus on brushing, which allows you to maximize your dental hygiene routine. When it comes to cutting-edge technology and effective dental procedures, the experienced team at West County Dental is the best in St. Louis, MO. 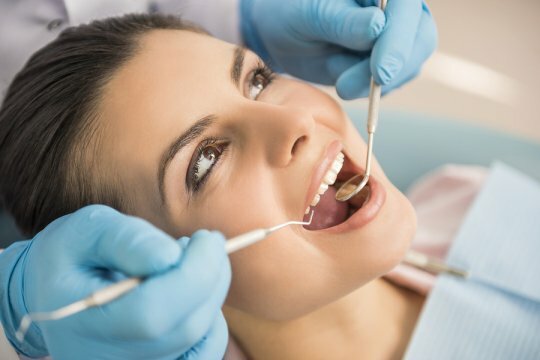 We always stay ahead of the latest tools and techniques to bring you specialized dental care and fast, comfortable results. Does this describe you? Every time you look in the mirror, you’re disappointed in the appearance of your teeth, and although you know there are dental procedures out there that will help improve your smile, you worry about the time, cost, and discomfort involved. You only have so many sick days and flu season is right around the corner, so “same day” dental procedures sound promising – but can you really receive high-quality dental implants without uncomfortable impressions, temporary fixes, and return dental visits? The answer is a resounding “Yes!” with the newest advances in cutting-edge dentistry! Utilizing CAD-CAM (Computer Aided Design-Computer Aided Manufacturing) technology, West County Dental can make everything from crowns and dental implants to full or partial dentures all in one day. 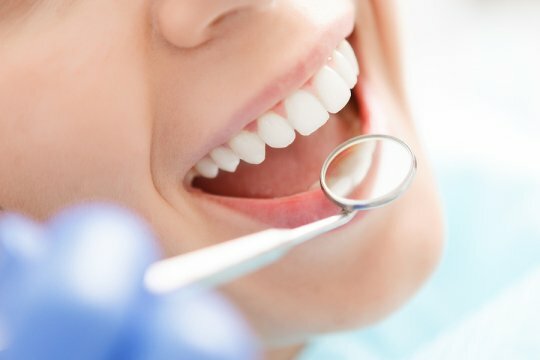 Overhauling your smile in just one appointment is easier than you think, especially when your dentist utilizes the latest techniques and equipment. During the initial consultation, a dentist will exam your teeth and get a full understanding of what you would like to achieve. 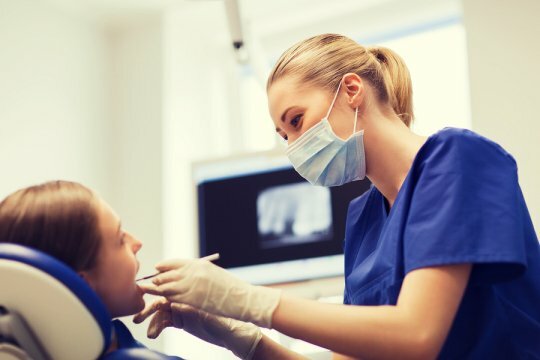 For dental procedures involving crowns and veneers, the dentist will remove a thin layer from the existing tooth before using a revolutionary 3D scanner to take an accurate photo. No messy, uncomfortable impressions here! Once the image is captured, an on-site milling device gets straight to work. This crown printing CAD-CAM technology creates a perfect model of your tooth using color-matching ceramic materials. When the crown or veneer is complete, the dentist simply places it on the existing tooth and off you go! What better way to boost your self-confidence than by filling out your smile with perfect, natural-looking dentures or dental implants? Traditional dental implant procedures require months between visits and multiple recovery periods, but with the advanced technology of a high-tech family dental office, you can have everything done in one session! Using 3D digital imaging and the latest surgical techniques, a dentist can place the dental implants and securely attach new prosthetic teeth right there in the office. With just one short recovery period and instant results, this permanent and effective solution will surely give you something to smile about. A fast, easy, and affordable solution for achieving the smile you’ve always wanted is possible with same day crowns, dentures and dental services. All you need is an experienced family dental team like West County Dental to create perfect, natural-looking teeth in a single visit with the most advanced 3D scanning and crown printing technologies available. To see if you are a good candidate for same day dental implants or to find out more information about same day crowns, contact Dr. Pete Spalitto and the West County Dental team. Can you imagine going to the dentist and receiving painless treatment for tooth decay without anesthesia? With the Solea Laser, that dream has become a reality. Approved by the FDA in 1990, the Solea Laser allows your St. Louis dentist to perform procedures with greater precision and virtually no discomfort for the patient. 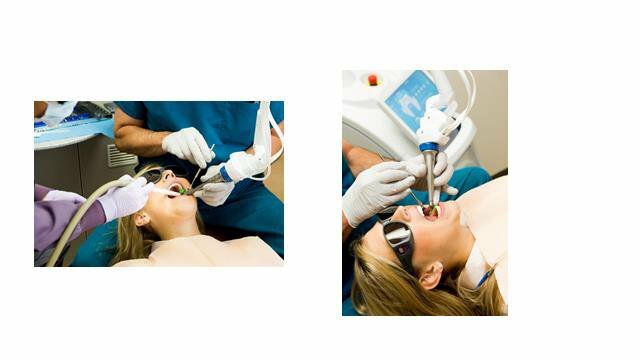 The laser, which is less than one-eighth the diameter of a human hair, effectively replaces the dental drill. It does not vibrate or make any noise, and it results in no bleeding during soft tissue procedures. It’s the perfect solution for any patient who has ever dreaded a visit to the dentist, making even oral surgery a sensationless experience. 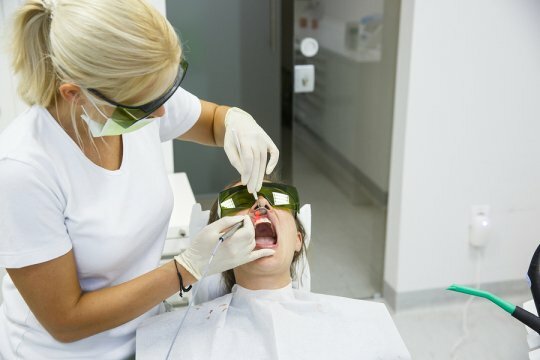 At West County Dental, we are proud to utilize state-of-the-art dental technology, including the Solea Laser , to ensure the best possible care for our patients. Visit our website to learn more about our services, or call us today at (314) 821-2712 to schedule an appointment with Dr. Spalitto. A dental filling is a straightforward procedure that can generally be performed in your dentist’s office during the course of one visit. There are a number of reasons why your family dentist in St. Louis may advise you that a dental filling is necessary. Keep reading to learn a few of the most common reasons why patients require dental fillings. During a routine cleaning, your dentist will examine your teeth to check for any signs of tooth decay. If your dentist discovers a cavity on any of your teeth, he or she will recommend either a filling or another course of action such as a root canal procedure. 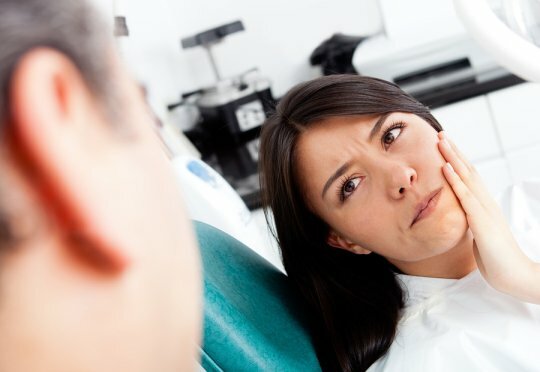 Toothache and sensitivity to hot and cold sensations are some of the most common symptoms of a cavity, so if you experience these symptoms, call your dentist. Fractured teeth can also be treated with fillings. If you have suffered a tooth fracture—whether because of trauma to your tooth, biting into a hard piece of food, or another incident—it is important to make an appointment with your dentist as soon as possible. Tooth fractures can become significantly worse if they are not addressed right away, and they can lead to bacterial infections in your mouth. All fillings may eventually need to be replaced. Pressure from chewing, as well as clenching or grinding your teeth, can take a toll on older fillings. Over time, these factors can cause fillings to chip, crack, or even fall out. Bacteria can also accumulate in the cavity left from a missing or improperly positioned filling and lead to infections. How long has it been since your last dental cleaning? If your teeth are in need of professional care, call West County Dental at (314) 821-2712 to make an appointment. 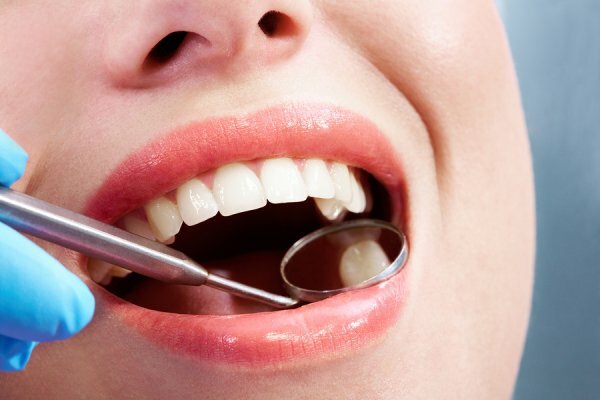 You can always count on us for quality dental care using state-of-the-art technology. Dr. Spalitto and his knowledgeable team will ensure that your experience is comfortable, positive, and relaxing.